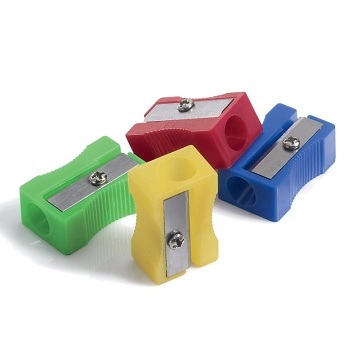 Pack of 4 Single Hole Sharpeners. Assorted Colours. 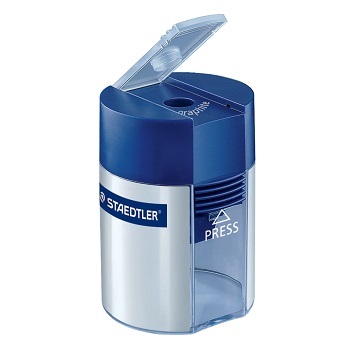 Classic design plastic pencil sharpener with a canister. 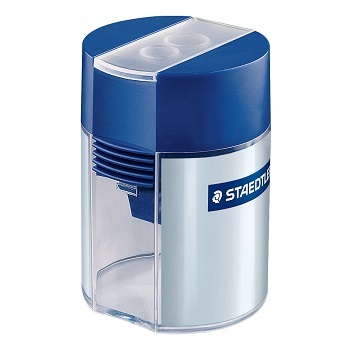 Large, practical tinted transparent canister to collect shavings. 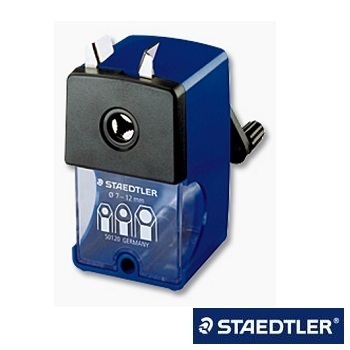 Premium quality Staedtler® sharpeners guarantee unbeatable product quality. 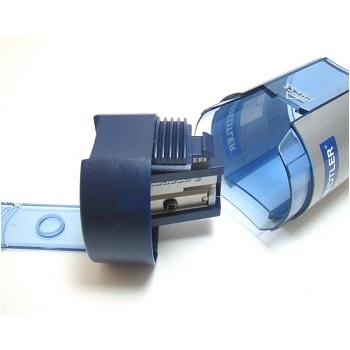 All sharpener inserts are made out of die-cast zinc which guarantees stability, precision and an exceptionally long service life. 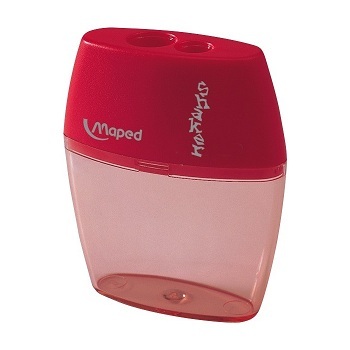 Hinged lid with safety lock to avoid accidental opening and prevent shavings from spilling. 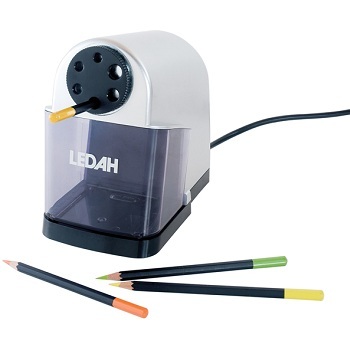 The original quality pencil sharpener... Since 1960! 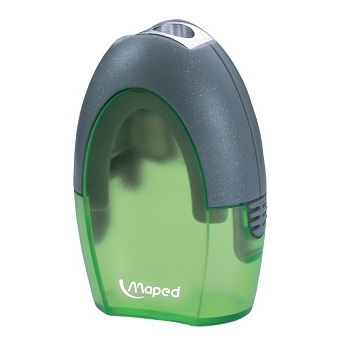 Ideal for home or office use. 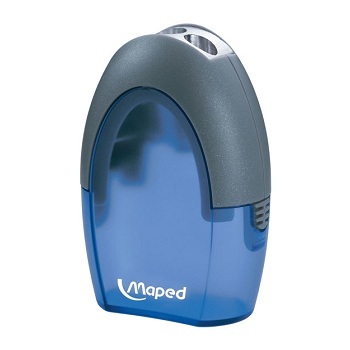 Great for schools. 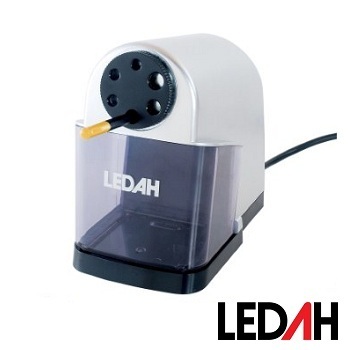 Manual metal sharpener with plastic casing which has a rounded shape. 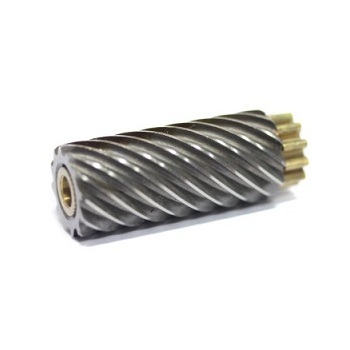 Self-feeding pencil mechanism suitable for pencils up to Ø 8 mm to give an excellent point to all pencils sharpened. Desk clamp. 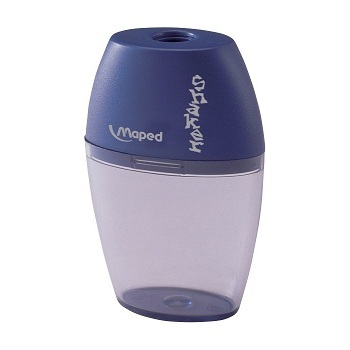 Transparent shavings box. Blue body. 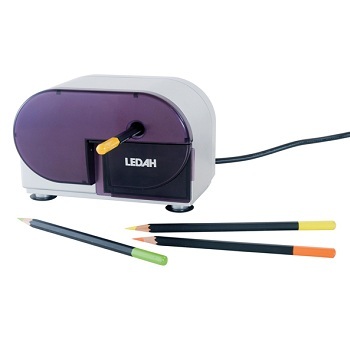 Regular and jumbo pencils… can be sharpened in no time at all! 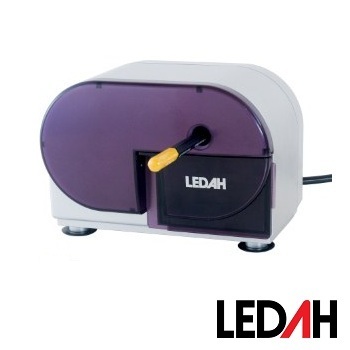 The sharpening machine will sharpen triangular, hexagonal or round pencils up to Ø 12 mm to the perfect needle-like point. 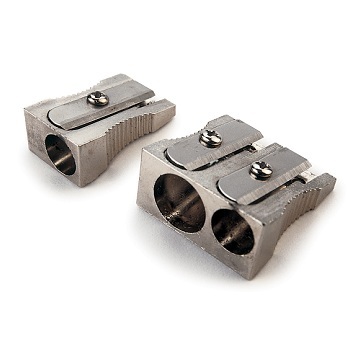 Point adjuster: sharp and long for blacklead pencils, blunt and short for coloured pencils. Desk clamp. 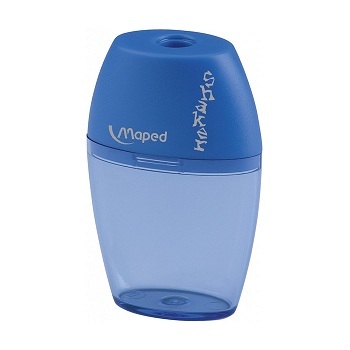 Easy-to-empty shavings reservoir. 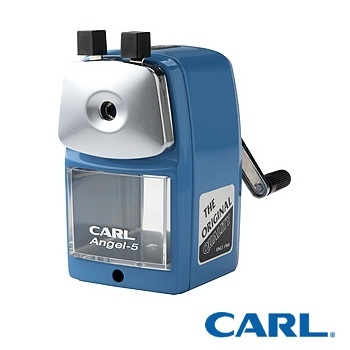 Blue plastic casing.